ACCORDING to an anecdote about a very great leader of our country, when an old man went to see him the leader bowed to him very respectfully. On being asked why he did so, he said the old gentleman had been his teacher in the primary school. He added, “Because of the education that he gave me and because of his blessings I have become what I am today”. The teacher of course knew that his capacity was only that of a primary school teacher, and he did not have the learning to impart to the leader the deep knowledge that the latter had later acquired. I would say that my relationship with Pandit Deendayalji was more or less the same as that of this primary school teacher. A speciality of our Deendayalji was that whenever he spoke or wrote about something he discussed even a topical subject from a permanent, ideological level. It was not in his nature to stop with discussing only the contemporary aspects of any problem. I knew him as a student of basic thoughts. Even when writing or speaking about a topical problem he never forgot that there was some enduring principle behind it. His writings as the leader of an opposition party had a certain gentleness. Even when he criticised a party or an individual, he never had a feeling of disrespect or distance about the subject of his criticism. Rather, he had an attitude of affection. For if a party or a person was going the wrong way, not only would that party or person suffer, but ultimately the country itself would suffer, because that party or person was after all a part of our country. 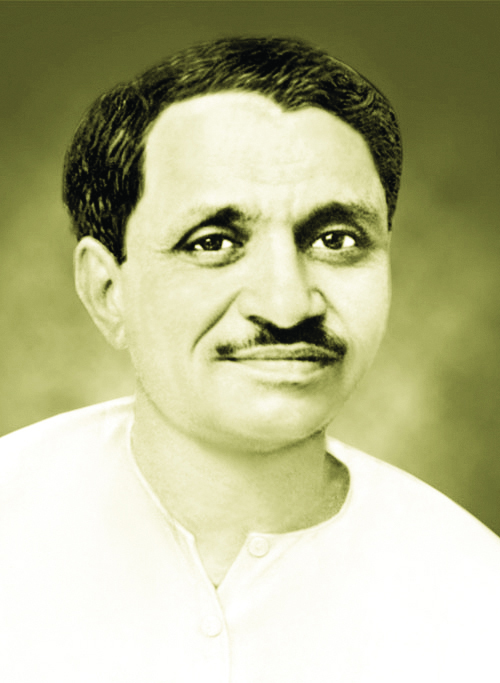 Pandit Deendayal was the leader of an opposition party. He considered it his duty to express a clear opinion about whatever he thought was improper or wrong in the country, and he always discharged it. But none of his writings has any bitterness in it. He was full of love and sweetness. He was not angry even with those who did harm or damage. He was like Yudhishthir, who used to call Duryodhana ‘Suyodhana’ because he did not wish to pronounce ‘Dur’, which means bad. The democracy that we have inherited from the British has now-a-days been called finally the best system of government. But Deendayalji’s pith in democracy was a discerning one. When he wrote on democracy he not only discussed its qualities and the way franchise should be exercised and of course wrote in favour of his party, but at the same time stated basic principles which were applicable to all people and all parties for all time. Such comprehensive thinking was necessary for successful democracy, and Deendayal showed his capacity for it. The thoughts he expressed on politics and economics in his writings are deep and are such as would provide food for thought to those who read them. A student of Deendayal’s writings can achieve the capacity to think for himself and to make his own contribution to the democratic structure of the country as a whole. As a Swayamsevak of the Sangh I saw him grow from a boy. It was at the request of the late. Shyama Prasad Mukherjee, who wanted workers for a political party he wanted to found, that we gave him Deendayal. 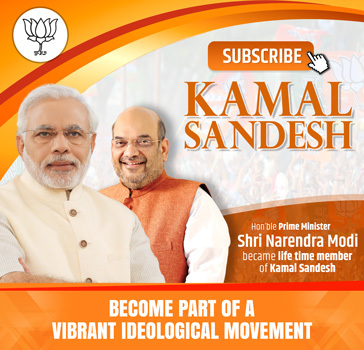 The growth of the Jana Sangh proved what a great worker he was. The way Deendayal left us was tragic. But the fact that the facts of the event could not be found out is still more tragic and shameful. Rather, in my opinion, the investigation that was done was meant to cover up what actually happened. I think this was most unfortunate. For if this happened with one party, can one say it won’t happen with another? Therefore, such a situation has to be guarded against in the first place. It is necessary to create an atmosphere in which no individual or group of individuals would dare to raise a hand against any party or person promoting democracy in the country. My grief is that this was not done. But what has happened has happened. There is no time to weep. This is the time for work. And what if we have lost one gem? This our earth is the mother of many such gems. Our society has produced many extraordinary personalities one after the other. Deendayal was not the last one. Rather, he was an assurance that great men like him would be born again. So let us keep the hope and confidence in our heart that our dedication to our ideal and our endeavours would enable this society to produce such eminent workers and thinkers again. We shall again have such symbols of sacrifice among us, and our first duty is to strive for their rise.